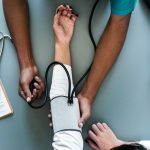 Our Philadelphia medical malpractice lawyers can review your medical file to determine whether a doctor’s failure to diagnose your condition or misdiagnosis was medical malpractice. Jim McEldrew is a Past President of the Philadelphia Trial Lawyers Association and has been handling cases of medical malpractice for over thirty years. 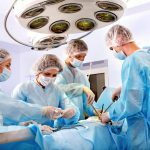 Our law firm handles wrongful death and other personal injury cases against hospitals and doctors for the misdiagnosis or failure to diagnose a cancer, myocardial infarction, appendicitis, lyme disease, pulmonary embolism, cauda equina syndrome, bacterial meningitis, necrotizing fasciitis, osteomyelitis, MRSA and other infections and medical conditions. Please contact us so that our law firm can review your file for the potential medical malpractice of your treating doctor or hospital. Early detection is crucial to the treatment of cancer. Delayed care allows the cancer to progress or spread to other parts of the body and may make survival unlikely. Breast Cancer is one of the more common areas for problems. More than 10,000 women with breast cancer are misdiagnosed in the United States every year. Other cancers, such as skin, colon, lung, prostate, ovarian, cervical and testicular cancer, are also commonly misdiagnosed. A heart attack, known in the medical community as a myocardial infarction, is a life-threatening condition where blood stops flowing to part of the heart. The failure of a hospital to recognize a patient undergoing a myocardial infarction can be medical malpractice. If your loved one was injured because of a physician or emergency room diagnosis of heartburn, indigestion, chest pain or another condition, please contact our personal injury attorneys for a review of the medical file for negligence and malpractice. This is one of the most frequently missed medical conditions. The failure to diagnose appendicitis in a patient can result in serious injury, including death. If left untreated, the appendix fills with pus, ruptures and spreads infection throughout the abdominal cavity. This can result in numerous complications including blood poisoning and dangerous infections. If a health care provider makes the correct diagnosis, the patient generally recovers with few serious complications. If you or a family member suffered a ruptured appendix following a visit to a medical professional, please contact a member of our medical malpractice team to determine whether the physician was negligent and a lawsuit warranted. The failure to properly diagnose a blood clot can be fatal. If a blood clot in the leg (deep vein thrombosis), abdomen or arms dislodges and travels into the lungs, it can result in a pulmonary embolism. With timely diagnosis and treatment, most of the 100,000 deaths in the United States due to deep vein thrombosis and pulmonary embolism could be prevented. If a doctor failed to diagnose a pulmonary embolism, or misdiagnosed it as another condition, please contact our medical malpractice attorneys to determine whether the doctor was negligent and a lawsuit to seek compensation is warranted. Cauda Equina Syndrome is a neurological disorder affecting the nerve roots in the lumbar region of the spinal cord. The caudal equina transfer information to the lower limbs and pelvic organs. If the nerve roots are compressed, the failure to perform immediate treatment can result in paralysis, impaired bowel or bladder control, sexual dysfunction and other problems. An MRI is typically used to diagnose the condition and then surgery is performed. If a medical professional fails to diagnose the condition, their conduct may have been malpractice. Osteomyelitis is a bone infection that causes patients to suffer from deep pain and muscle spasms. In adults, it typically occurs in the spine while in children it affects the legs and upper arm bones. The disease is commonly caused by staphylococcus bacteria. The mortality rate of patients with this infection has been drastically decreased in the past twenty years but misdiagnosis or delay can result in severe complications, including septic arthritis, bone death and a higher risk of skin cancer. Lyme disease is a bacterial infection from the bite of an infected tick. It usually results in a rash but may result in fever, headaches, muscle and joint aches, fatigue and a stiff neck as the infection spreads. If the disease progresses, it can cause fibromyalgia, anxiety disorders, meningitis, ALS, or damage to the heart and nervous-system. The patient’s recovery is usually more complete the sooner treatment with antibiotics begins. If you were misdiagnosed with anxiety, depression, MS, Parkinson’s Meniere’s disease or another illness and you actually had Lyme disease, please contact our attorneys for a review of your medical file for medical malpractice. Necrotizing Fasciitis is a rapidly spreading flesh-eating bacterial infection that requires aggressive antibiotics and surgical care. A doctor’s failure to diagnose the condition and perform the standard treatment protocol can result in the amputation of limbs, serious complications and even the death of the patient. There are about 4,000 cases of bacterial meningitis every year. It is caused by the spread of certain germs to the brain and can cause brain damage, hearing loss, learning disabilities and even death. Early diagnosis and treatment is crucial. The failure to diagnose a case of bacterial meningitis by a pediatrician or emergency room doctor can be medical malpractice. 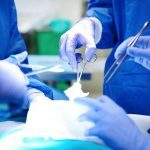 A medical malpractice lawsuit may also seek compensation for injuries resulting from the failure to diagnose an aortic dissection, volvulus, intussusception, tuberculosis, or a staph infection such as MRSA.